Meet Amanda Yamashita. The Brea Gallery is excited to have Amanda back for our show Immersion after she was a part of several of our previous Made in California exhibitions. Amanda was gracious enough to answer a few questions about her process for us to share! 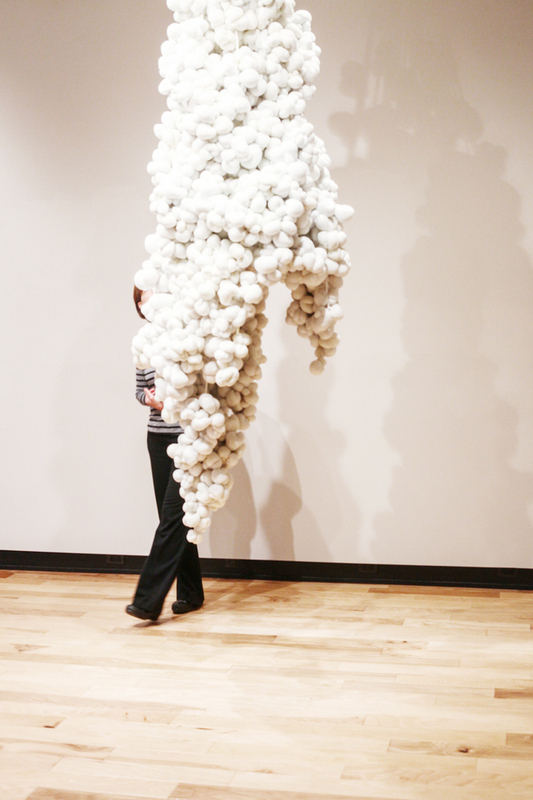 [Amanda Yamashita]: I will be creating a fiber installation made of dyed nylon and polyester fiberfill. I love the soft and malleable nature of this material. It allows me to create organic forms reminiscent of the body. [BAG]: How did you become interested in this type of large scale work? [Amanda Yamashita]: I’ve always found large scale work to be so impactful and interesting. It confronts the viewer in a way that demands attention. [BAG]: What are the obstacles in creating work like this? 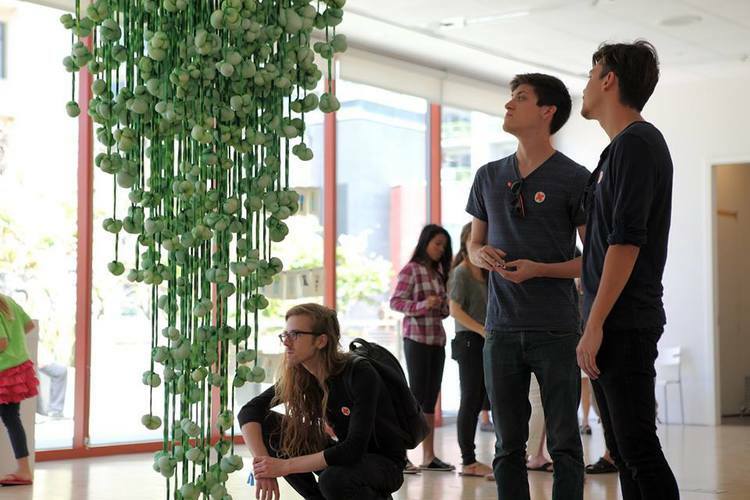 [Amanda Yamashita]: There are a ton of logistical obstacles to overcome when creating installation work. The most difficult thing for me is managing the weight of the work since most ceilings cannot hold too much weight. I like to create hanging work in large masses, so I always have to figure out ways to make the work lighter. [BAG]: Who encourages you to create? [Amanda Yamashita] I’m blessed to have incredible support and encouragement from my husband and parents. My husband is also an artist and he is always encouraging me to make more art. My parents are my number one fans and have always delighted in watching me create! [BAG]: What’s the best piece of advice you’ve been given about being an artist and creating art? [Amanda Yamashita]: The greatest piece of advice I’ve been given about creating art is to practice persistence, perseverance and endurance. [BAG]: If you weren’t working as an artist, what would you be doing? [Amanda Yamashita]: I’d probably be a math teacher! I always loved doing math in school and working with kids. Although I have to say, being an artist tops being a math teacher any day. 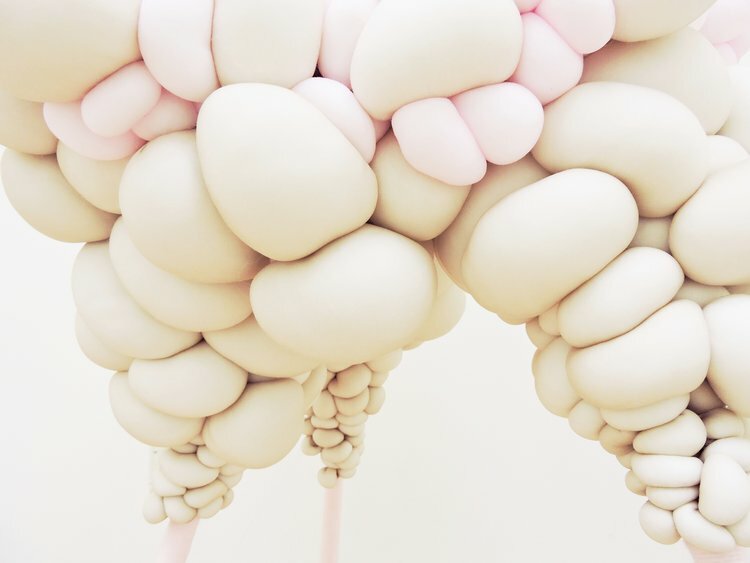 Amanda Yamashita is a fiber artist who creates massive sculptures and installations. She was born in Laguna Beach, CA and is a graduate of Biola University where she earned her BFA in studio art. During her undergraduate career, she worked in Los Angeles and New York City, gaining experience and exposure to the art world. She has since been recognized for her contemporary use of fibers and has participated in many group shows throughout the nation. See more of Amanda’s work here. Thanks so much to Amanda Yamashita for her time to answer these questions and letting us get to know her better! 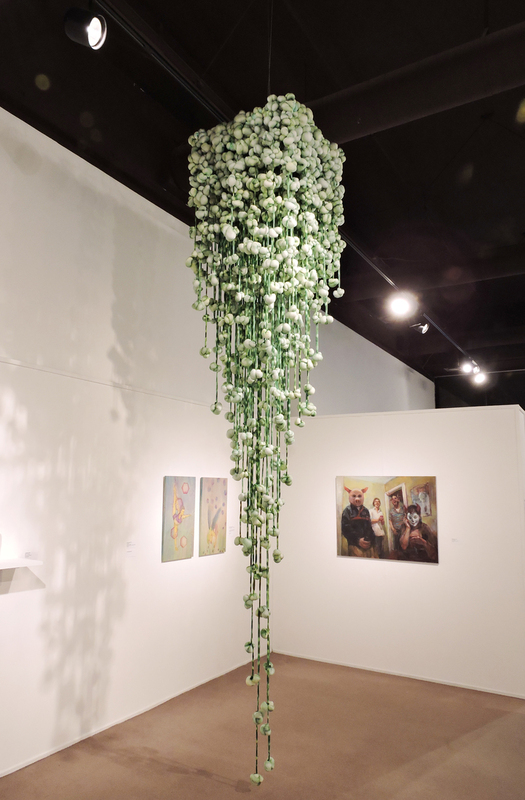 Be sure to check out Amanda’s latest work on display in Brea Gallery’s group installation show Immersion, opening February 9, 2019.